Say goodbye to mince pies. Throw away those Quality Street. Don’t even think about wasting calories on a standard Christmas pud. Why, we hear you ask? 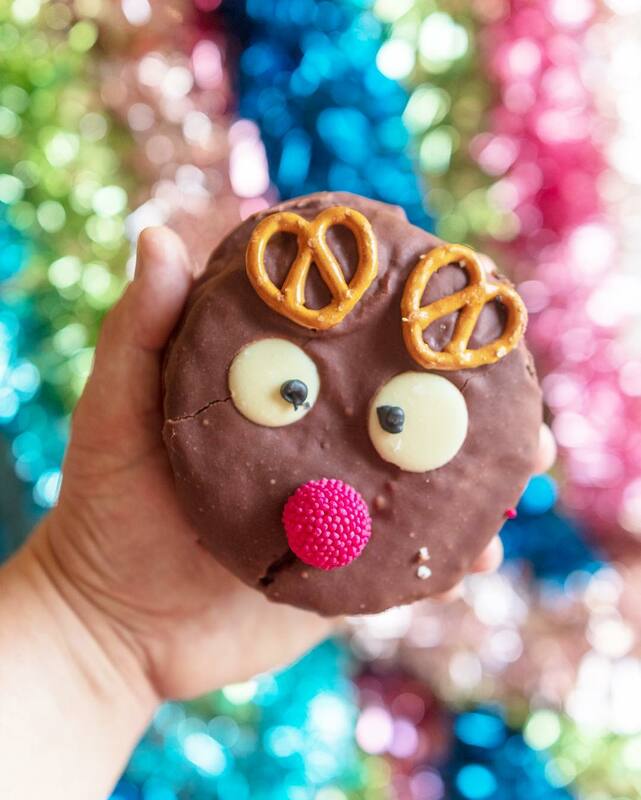 Well, because Australia’s best export, Doughnut Time, are revolutionising festive treats forever. 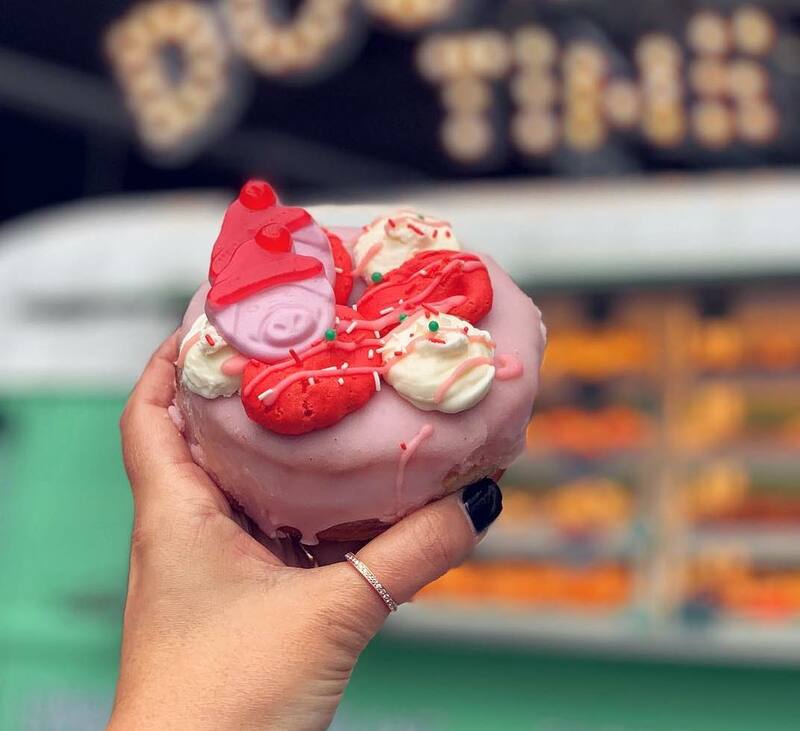 They’ve just released their festively-themed doughnuts, and they’re so downright delicious they need to be at the very top of your Christmas list this year. And so you know exactly which ones to ask Santa for, we’re giving you an introduction to Doughnut Time’s new Christmas doughnuts right here. Forget leaving milk and cookies out for Santa Claus this year. Just leave him the Santa Bae Vae doughnut out instead. With rich vanilla buttercream, dark chocolate cookie pieces, cookie dough and chocolate chips, this is milk and cookies that’s naughty but very, very nice. And the best bit? Rejoice vegan friends, because the geniuses at Doughnut Time have managed to make this doughnut completely vegan, too. Scary-sickly on first glance, this ring is in fact a perfectly-balanced combination of strawberry glaze, vanilla buttercream, Christmas sprinkles and yes - Percy Pigmas sweets. Perhaps not a breakfast or mid-morning bite, but definitely one to tackle when you’re looking for a sugar hit. Your doughnut obsession is about to reach whole new levels with Doughnut Time's A Very Terry Christmas. For starters, just look at it. A chocolate doughnut with a chocolate-orange glaze, dusted with Oreo crumb and all finished off with a couple of segments from everybody's favourite Christmas chocolate, a Terry's Chocolate orange. So sweet and so satisfying. Doughnut Time pride themselves on cleverly named and gloriously glazed creations, and this might just be the best one yet in both categories. Featuring smooth chocolate salted caramel, a thick layer of delicious chocolate ganache, gold sprinkles and a Lindt reindeer treat. It’s soft, sweet and if you're capable of ordering just one of these: you've got far more willpower than most of us mere mortals. We'll take 6. 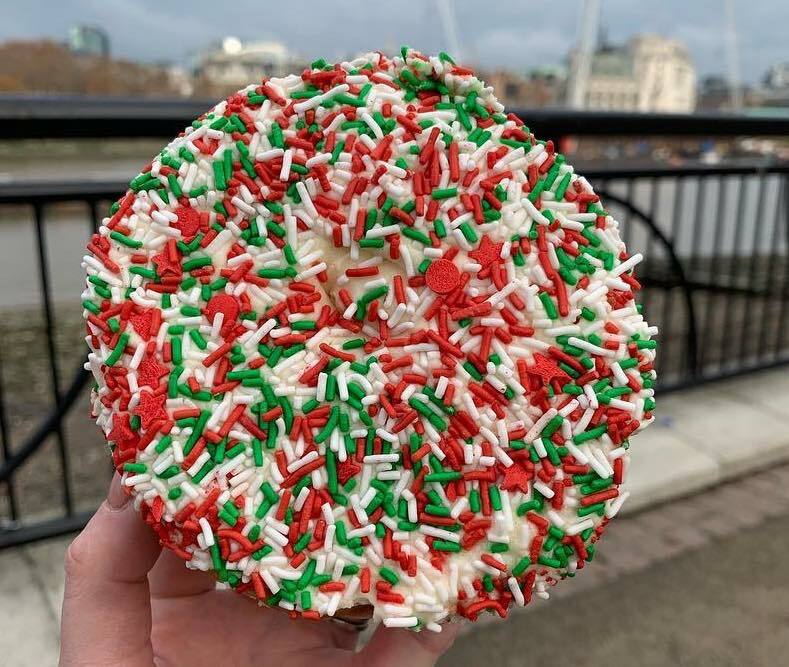 To work out whether Doughnut Time’s vegan Sleigh My Name is really for ‘you’, all ‘you’ have to do is ask yourself one question: do you want to eat a fresh doughnut with vanilla frosting and Christmas sprinkles? Of course you do. 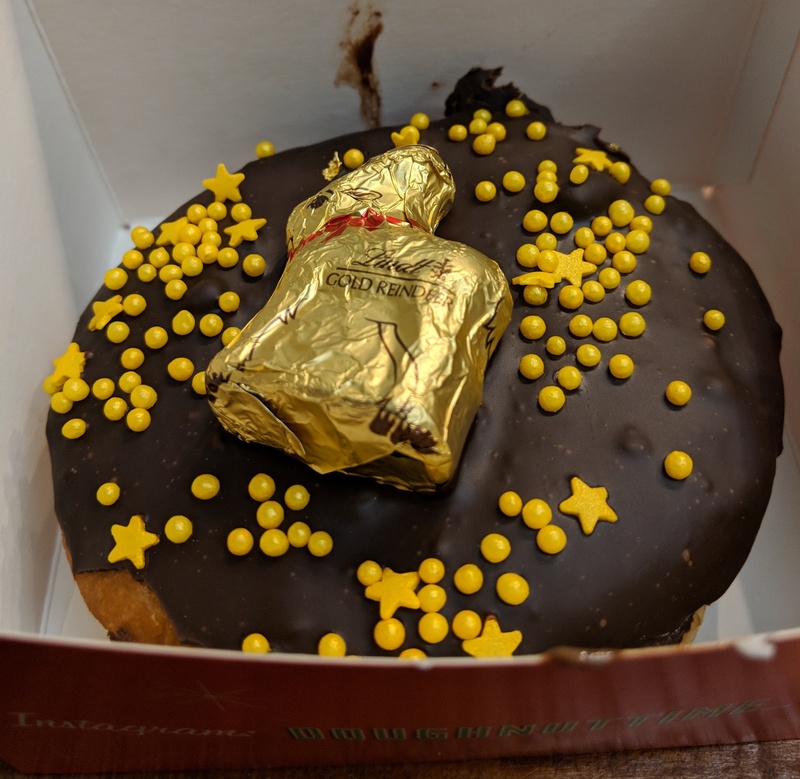 And while it’s difficult to do justice to the feeling of gorging on a perfectly crafted doughnut, our only complaint is that they're perhaps a little too easy to eat. A box of 6 simply doesn't last long enough. Check your watch. What time is it? 10am? That's doughnut time. 2:45pm? That's doughnut time. 1am? Once again: doughnut time. 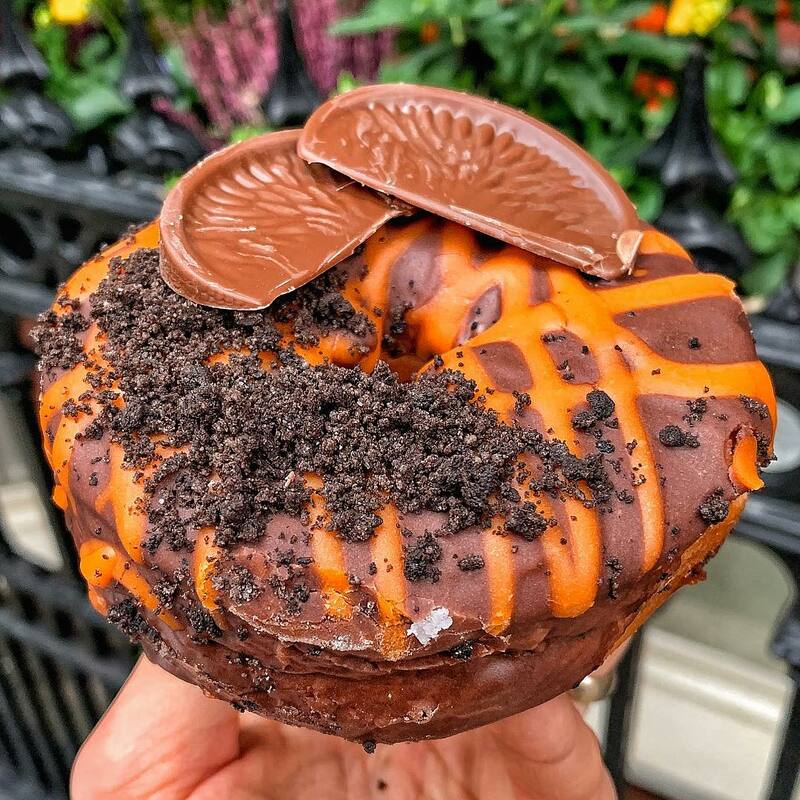 But how about the best place in London to get a Nutella-filled, chocolate glazed doughnut with white chocolate buttons, pretzels and a red gummy nose? That would also be Doughnut Time. So find some time to bring the Make It Rein into your life today. It's worth every second. 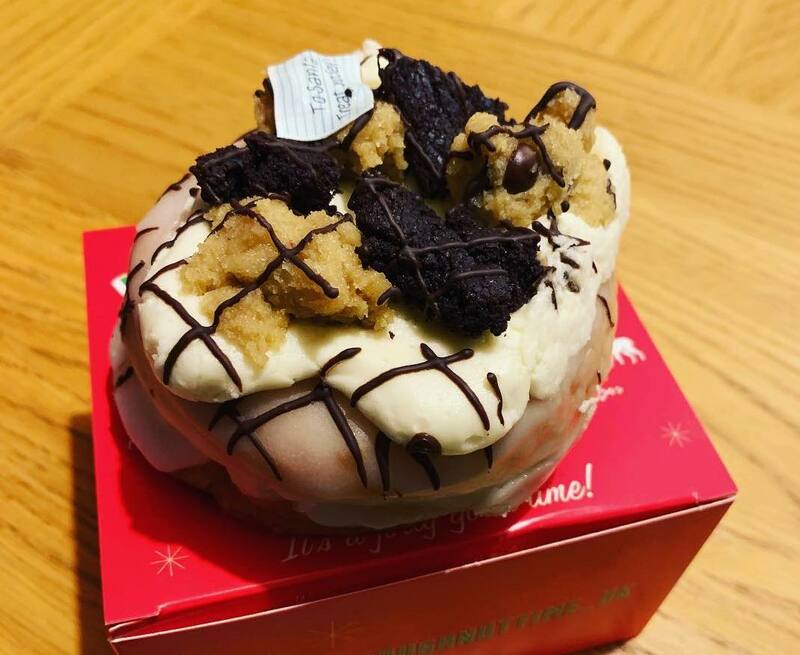 Do you really need one of Doughnut Time's Christmas doughnuts right now? We deliver Doughnut Time straight to your office, all for the same price as going direct. No fuss. No hassle. And just one click away.